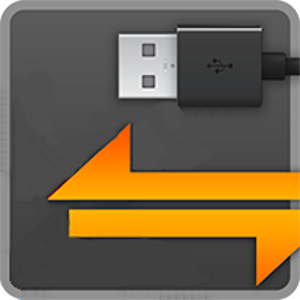 USB Media Explorer (UME), formerly known as Nexus Media Importer, it allows you to stream and transfer music, video, photos and documents from a USB flash drive or card reader connected to your Nexus device (5, 5X, 6, 6P, 7G1, 7G2, 9, 10) or other Android 4.0+ devices with USB Host support. If you are using an card reader, put the flash memory card in the reader first. Attach your USB device to the OTG cable. Attach the OTG cable to the Nexus or other device. The application should launch automatically. The File Manager tab can be used to manage and transfer files. Use the Connect screen to determine the viewed device and the destination device for the Copy/Move operations. The navigation menu to change between Photos, Videos, Document and the File Manager can be accessed by the three lines in the upper left hand corner. An Android 4.0+ device. Please try the free "USB Photo Viewer" first if you do not have a Nexus device. Due to hardware limitations, the Nexus 4 is not supported. An USB OTG (On-The-Go) cable. Costs range from $1-10 USD, see screenshots for examples. An USB Flash Drive or USB Card Reader with a flash memory card inserted, see screenshots for examples. Please see the FAQ on our website if you are trying to connect an external hard drive or other device. If you have an issue, you can tap "Homesoft" from the About screen for email support.Currently, most USB Mass Storage devices are supported. Due to the mind boggling number of USB devices available it is not 100% If you contact us, we may be able to support your device in a future release. If you have doubts, try the free "Nexus Photo Viewer" first.